Two titans face off for off-roader supremacy! 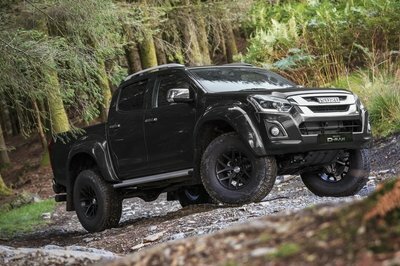 There are few things in this world as resolutely badass as a hugely capable off-roader pickup truck. These are the machines you want with you when there’s a forest, mountain, or desert between you and your destination. 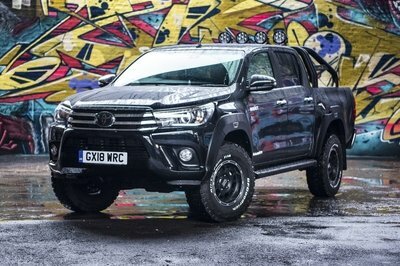 With a go-anywhere attitude and the right stuff to walk the walk, the street-legal off-roader used to be something cobbled together in a shed. Now, you can get one direct from the factory, be it the Colorado ZR2 Bison from Chevrolet, or the F-150 Raptor from Ford. These purpose-built, highly specialized variants offer tons of good stuff for those who prefer the trail to the street. For example, the Bison was created in collaboration with American Expedition Vehicles (AEV), an aftermarket off-roader company that knows exactly what’s needed when the going gets rough. Then there’s the F-150 Raptor, which Ford developed into a full-blown Baja racer with a license plate. But how do these two stack up against one another? Read on to find out. While both the Bison and the Raptor are anything but small, the Ford is quite a bit larger than the Chevrolet. You can check out a full breakdown on exterior dimensions below. Right off the bat, it’s clear these machines are not to be trifled with. Both look the part of highly capable off-roader thanks to burly exterior armor and a high-riding stance. Kicking things off is the Chevy Bison, which gets a new stamped steel front bumper designed by AEV, and comes with mounting locations for critical components like a winch and fog lights. The front end also comes with an exclusive flow-through grille stamped with a new “Chevrolet” badge, rather than the traditional bowtie. Up top, the hood gets slick-looking power bulge finished in flat black. Then we have the Raptor, which is a massive 6 inches wider than the standard F-150, enhancing the high-speed stability in the process. 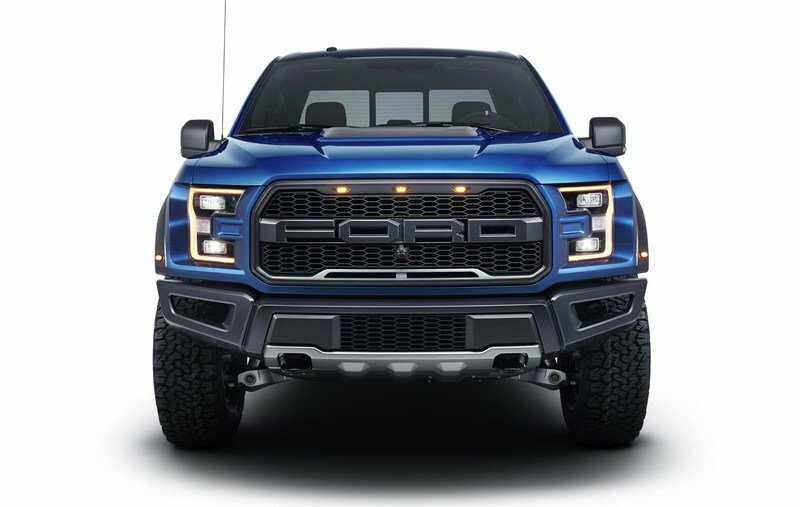 The front bumper looks mean thanks to its flat-black finish and sturdy underbody protection, while the wide flat-black grille is proudly embossed with the “Ford” logo. The headlights are tall, C-shaped units complemented by a trio of amber detail lights on the upper edge of the central intake, while the lower body cladding stretches rearwards into highly flared fenders. Moving to the flanks, both trucks show off their impressive ground clearance. We find the Chevrolet Bison offers a tall, box-like body and four-door crew-cab access to the interior. 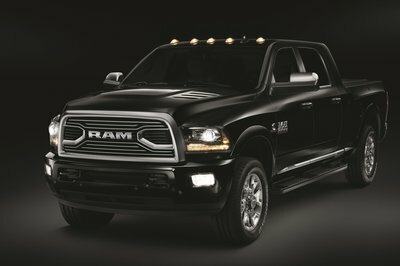 Buyers can also get an extended cab configuration if desired. Flat-black cladding can be found ringing the lower edges of the truck, outlining the tall, squared-off fender liners. 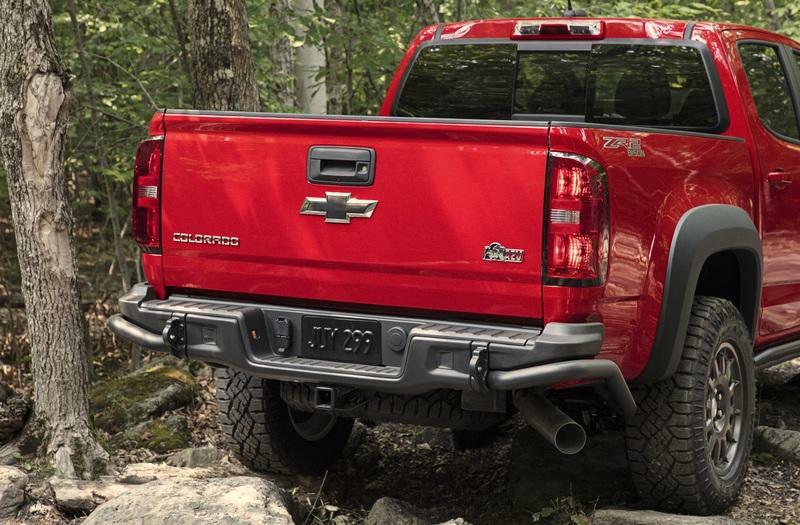 Additional body protection is added to the side sills and rear bumper flares thanks to the ZR2-specific rocker protection, and additional Bison logos were added to the bed sides. The Ford Raptor offers much of the same, albeit styled by the Blue Oval. Buyers who go with Ford can get theirs in either a shorter extended two-door configuration, or a full crew-cab configuration with four doors. Additional black cladding is everywhere, while the rockers employ a sturdy step-up for easier ingress and egress. We’re also liking those vents placed above and behind the front fenders, while the side mirrors get a chunky aesthetic that adds a surprising amount of visual punch. The rear fenders proudly display the “Raptor” branding. Even the rears of these trucks look remarkably different from their standard model counterparts. For example, the Chevy Bison gets a new stamped steel rear bumper, which was designed by AEV specifically for the off-roading Bow Tie. 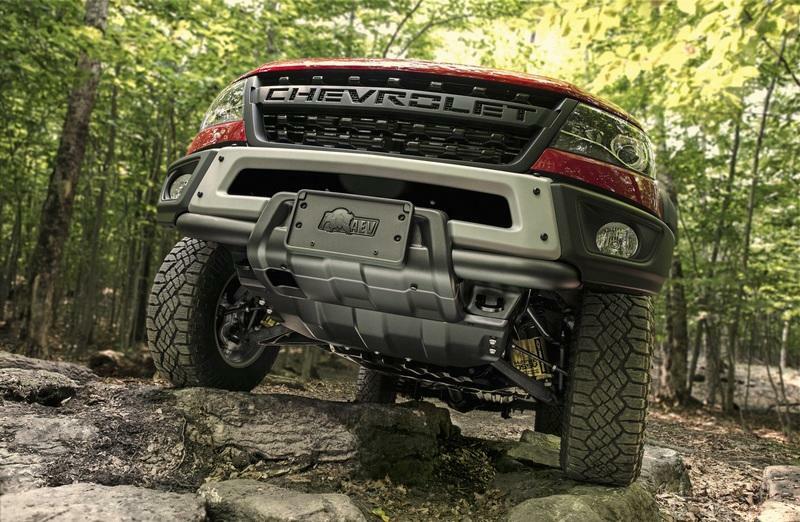 Like the front bumper, this rear piece gets a host of upgrades to make it more useful out on the trail, including easily accessible recovery points. The Chevy also comes with the Bison logo mounted directly onto the the tail, and buyers can get theirs with either a short bed, or a long bed. Underneath the new bumper, you’ll find a spare tire mounted to the undercarriage, as well as a single exhaust pipe sticking out from the passenger side. Meanwhile, the Raptor boasts a dual-exhaust setup from the 2017 model year onwards, while the tailgate helps to identify what’s lurking up front with a large logo stamped right into it. Like the Chevy, the Ford also mounts a spare tire underneath the bed. Inside these trucks, you’ll find the sort of utility you’d expect given the custom exterior goodies. That said, both trucks were already pretty utilitarian in their standard form, and the upgrades in place simply enhance what was already there. Inside the Bison, buyers get a five-seater configuration, with the rear bench folding down in a 60/40 split as needed. The center console is squared, with an infotainment screen up top, vertical air vents, and big blocky buttons to control it all. Unique to the Bison model is an additional AEV logo added to the floor liners and front head restraints. In terms of storage, the Colorado also offers a maximum of 50 cubic feet of space in the bed. Meanwhile, inside the Ford F-150 Raptor SuperCrew variant, passengers will enjoy the expanded rear legroom, not to mention the enhanced cargo room as well. 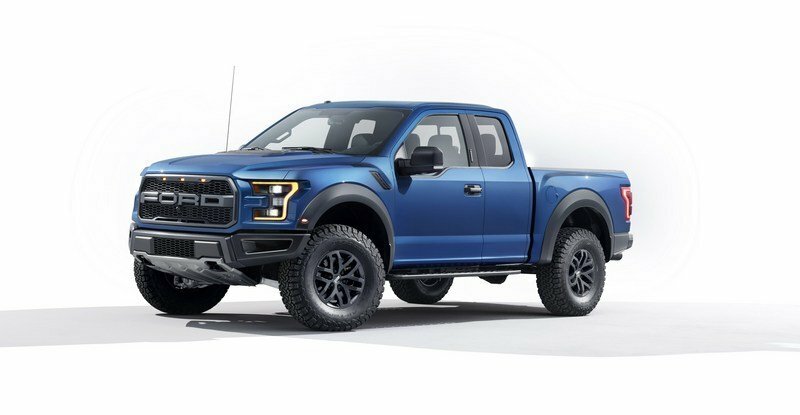 It’s also worth mentioning the Ford F-150 Raptor SuperCrew comes with a 145-inch wheelbase, which is a full 12 inches more than the standard Raptor SuperCab’s 133-inch wheelbase. In its longest form, the Colorado’s wheelbase is 140.5 inches long. 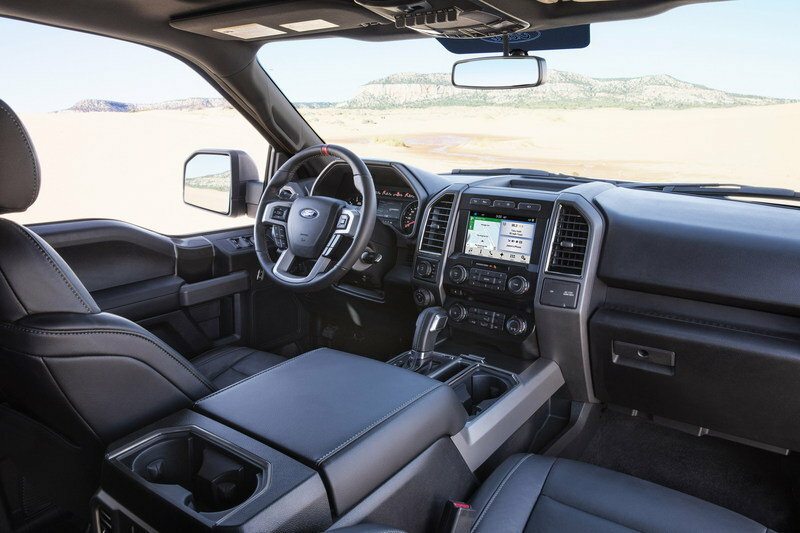 In terms of materials, fit, and finish, we have to give it up to the Ford, which looks to best the Bison in terms of overall comfort and luxury. As for cargo capacity in the bed, the Raptor offers a maximum of 53 cubic feet, which is about the same as what you get in the Colorado. Now we come to the all-important greasy bits, both under the hood and under the skin. We once again begin with the Bison, which comes equipped with five skid plates to protect the vital bits underneath, including the engine oil pan, the transfer case, the fuel tank, and the differentials. These pieces are made from Boron steel, and should withstand a good deal of punishment on the trail. In terms of motivation, Bison buyers can choose one of two different powerplants. The standard configuration is a 3.6-liter V-6 making 308 horsepower and 275 pound-feet of torque, all of which routes through an eight-speed automatic transmission. 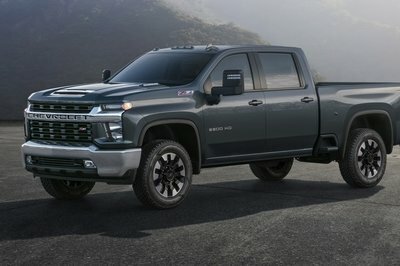 Oil-burner fans will also be delighted to learn about the optional diesel powerplant, which throws in a 2.8-liter Duramax lump producing 189 horsepower and 369 pound-feet of torque, all of which is sent through a six-speed automatic transmission. These numbers match those of the standard Colorado ZR2, so the rest of the specs match up as well. 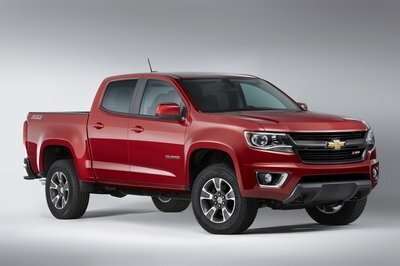 That includes standard towing up to 7,700 pounds, a class-leading spec for the Chevy. We also expect the Bison to offer pretty much the same payload as the standard Colorado ZR2, which is rated at around 1,000 pounds. To put it all to the dirt, the Bison comes with a set of front and rear locking differentials, which Chevrolet claims as a class-exclusive feature. There’s also an Autotrac transfer case and a modified rear axle with a 3.42 ratio. The corners are stuffed with DSSVTM dampers, which again, Chevy claims as a segment-exclusive. Complementing the dampers are cast-iron control arms, while the front and rear tracks were widened by 3.5 inches a piece. The Bison’s ride height is a full 2 inches taller compared to the standard Colorado Z71. Chevy didn’t provide any information on the approach or departure angles, but considering the standard Colorado ZR2 offers 30 degrees on the approach and 23.5 degree for departure, we expect the Bison to improve on these figures. Grabbing the terra is a set of 31-inch Goodyear Wrangler Duratrac off-road rubber, which come wrapped around 17- by 8-inch wheels. These custom rollers are made from aluminum and are offered as an exclusive item for the ZR2 Bison. Finally, buyers can option into the large intake snorkel from AEV if they anticipate needing extra clearance for high-water river crossing. 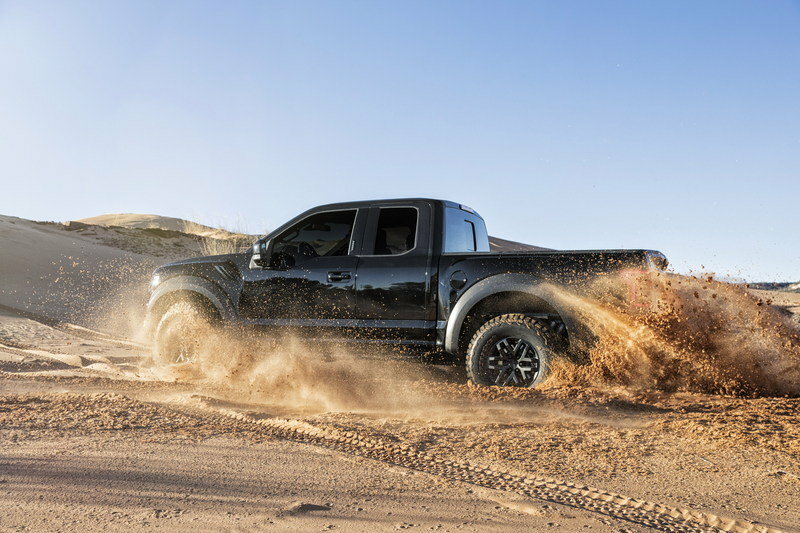 Moving onto the Ford, the F-150 Raptor’s off-road prowess starts with the materials its made from, which include high-strength steel and “military grade” aluminum alloy. These cut a massive 500 pounds from the first-generation Raptor without hampering structural rigidity, which helps substantially when exploring the great outdoors. The Raptor also employs a boxed frame design, making for the strongest F-150 in the lineup. 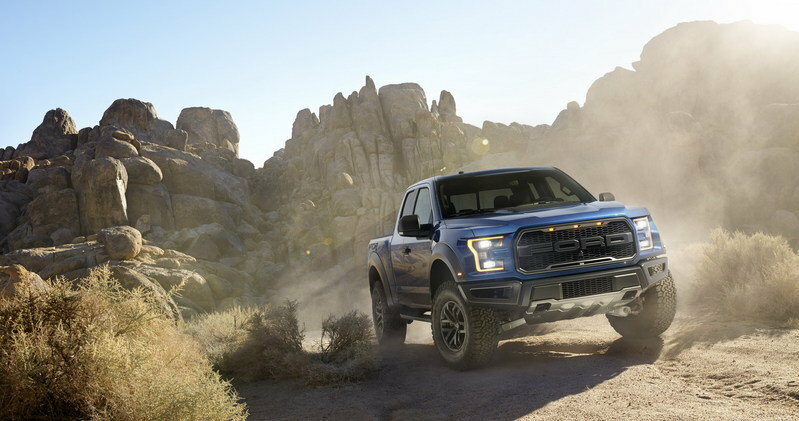 The latest Raptor draws power from a turbocharged 3.5-liter EcoBoost V-6, which doles out as much as 450 horsepower and 510 pound-feet of torque, besting the previous model’s 6.2-liter V-8. The ‘six mates to a 10-speed automatic transmission. In terms of utility, the Rapor offers something called Neutral Towing Capability, and properly equipped, can tow an impressive 12,200 pounds, which is substantially more than you get with the Bison. Properly configured, the Raptor also offers a payload rating over 3,000 pounds. There’s also an off-road mode that makes it easier to tackle the ‘ole dusty trail, with driver-assist technology dubbed the Terrain Management System. This comes with multiple driving modes for a variety of terrain and off-roading adventures, turning you into a pro with minimal effort. 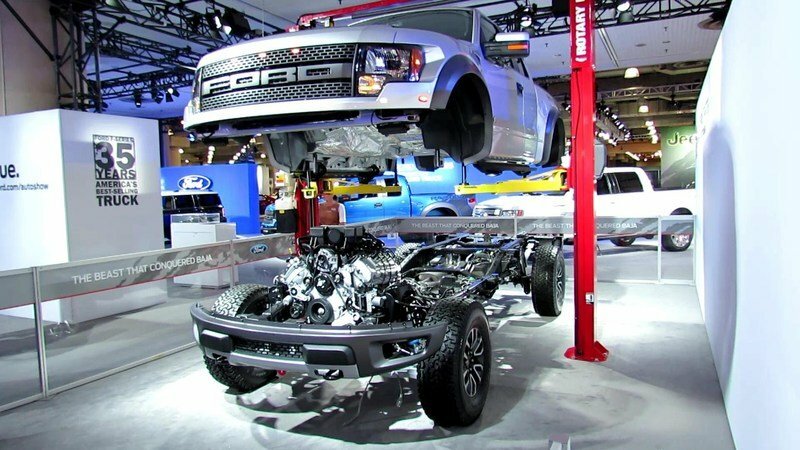 The Raptor also comes with a huge amount of suspension travel, with up to more than 11.2 inches in front and 12 inches in the rear. Fox Racing Shox with custom internal bypass technology make it possible, and there are front and rear shock canisters up to 3 inches in diameter - burly stuff! Unfortunately, the Raptor offers just 30 degrees for the approach angle and 23 degrees for the departure angle, as well as a 22-degree breakover angle, so in that respect, the Bison takes the win. Still, the Raptor is certainly no slouch in the rough. The wheels are unique 17-inchers, and come wrapped in impressive BFGoodrich All-Terrain KO2 tires. The Ford also offers 32 inches in fording depth, which is about 2.7 feet. That’s nowhere near as high as the Colorado Bison equipped with its optional snorkel, but that’s easily remedied with a quick search in the aftermarket. Although there are some pretty big differences between them, the Chevrolet Colorado ZR2 Bison and Ford F-150 Raptor are both massively impressive machines. So then - what’s the difference? In terms of exterior styling, both carry an impressive array of upgrades for both aesthetics and functionality, and anyone looking at either the Chevy or the Ford won’t question that they are built for the dirt. In that sense, exterior style is a wash. Inside, however, the Ford is a better place to be, with the extra-long wheelbase adding to overall passenger space substantially in the rear. The materials, layout, and fit and finish are also above and beyond the Bison. However, most buyers will be combing through the Drivetrain section, as that’s really where these two differ the most. While both are sure to eat up the terrain without issue, the Bison seems to have an edge over its competitor in terms of off-road prowess. 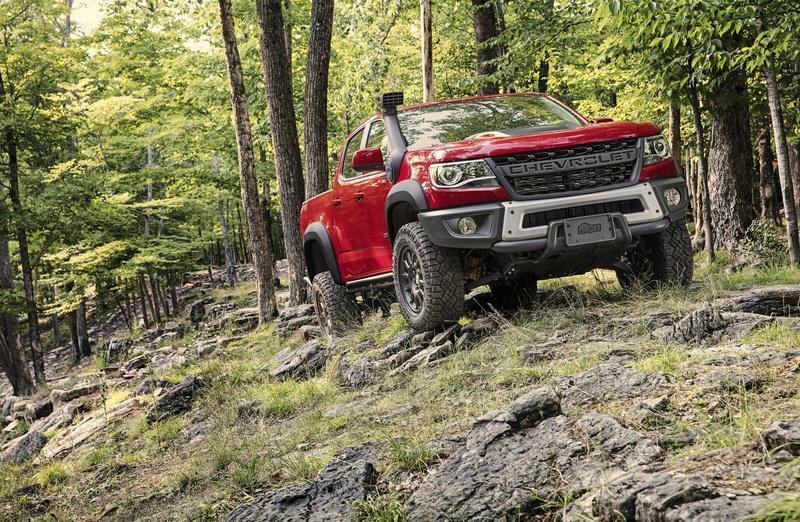 The Chevy is definitely the one to get if rock crawling and ruts are what lay ahead, whereas the Raptor is made to fly over smoother dirt and gravel roads at speed. The Chevy’s smaller size helps with off-roading as well. 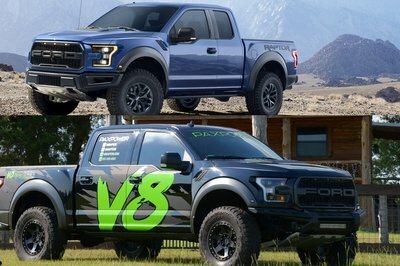 That said, the Raptor might be the better choice if hauling and towing are a major concern. It also bears mentioning that neither vehicle is cheap, with the Bison expected to start at more than $45,000, and the Raptor going for around $53,000. So then - which would you have? 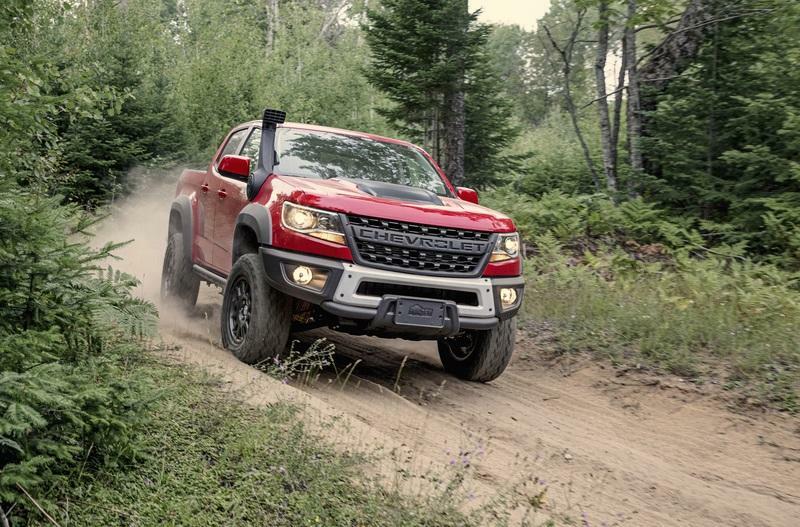 Read our full review on the 2019 Chevrolet Colorado ZR2 Bison. Read our full review on the 2017 Ford F-150 Raptor.